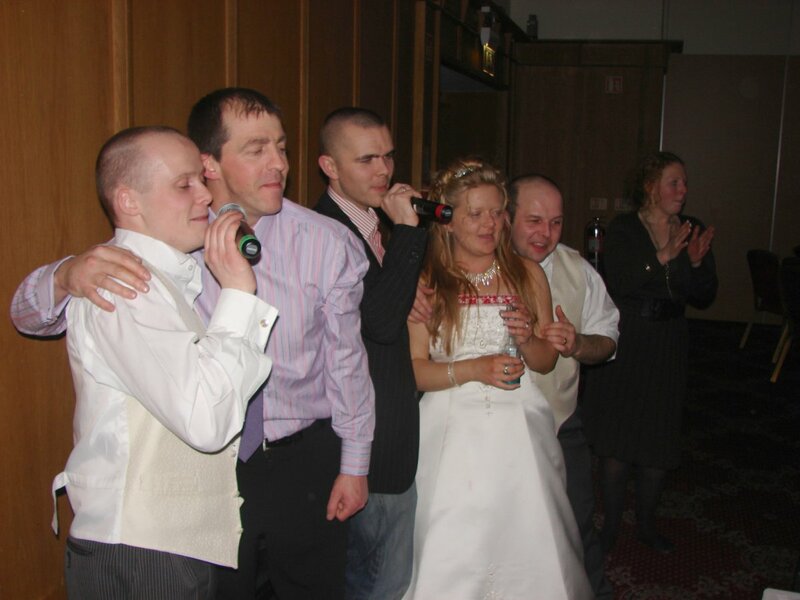 • Computerised karaoke player - this provides the backing track and outputs the words onto the screens, also allowing fast searching for required songs. 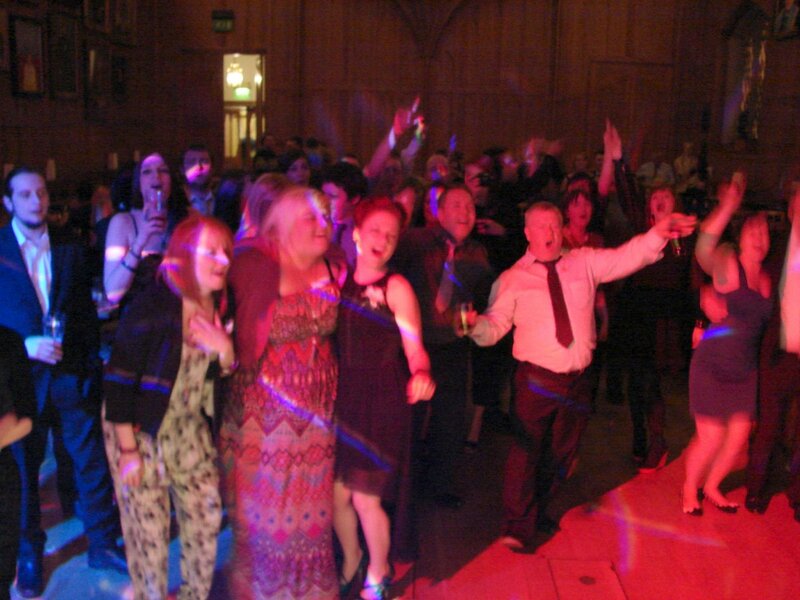 • Projector screen (either built into DJ Booth or stand alone) - displays the words for the audience to sing along. Note that the projector screen can only be used where venue space permits. In venues where space is very limited, the projector screen may need to be replaced by a flat screen monitor. Song books that list all songs available for singing (both in alphabetical order by song title and by artist/group) are supplied for guests/customers to browse to find the song they'd like to sing. They then complete a request slip with their name and details of their chosen song, and then wait to be called up to sing. As each person comes up to sing, the karaoke version of the song they've chosen will be played. This is an instrumental version of the song, complete with backing vocals. 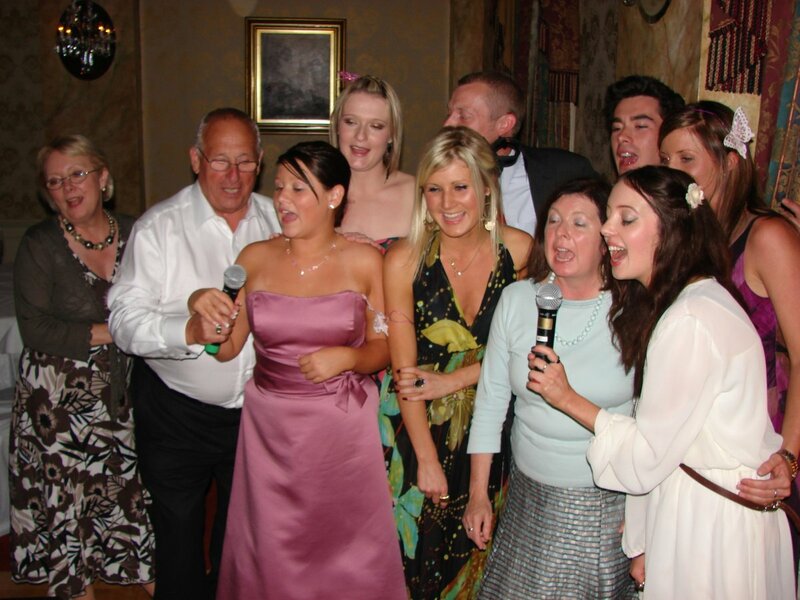 The lead vocal is not included on the karaoke version, which is where your guests come in! What if people don't know the words? All karaoke versions of songs include on-screen words which disappear or change colour as they are sung. Therefore, not knowing all the words is no excuse for not exercising those vocal chords! I currently have over 1,700 songs available for karaoke, and this list is added to regularly. My current Karaoke List is available for you to download. This is in Microsoft Excel format. It contains most of the karaoke songs that I own, although most recent purchases may not be listed yet. The list will be updated on a regular basis. When during the night do you do the karaoke? 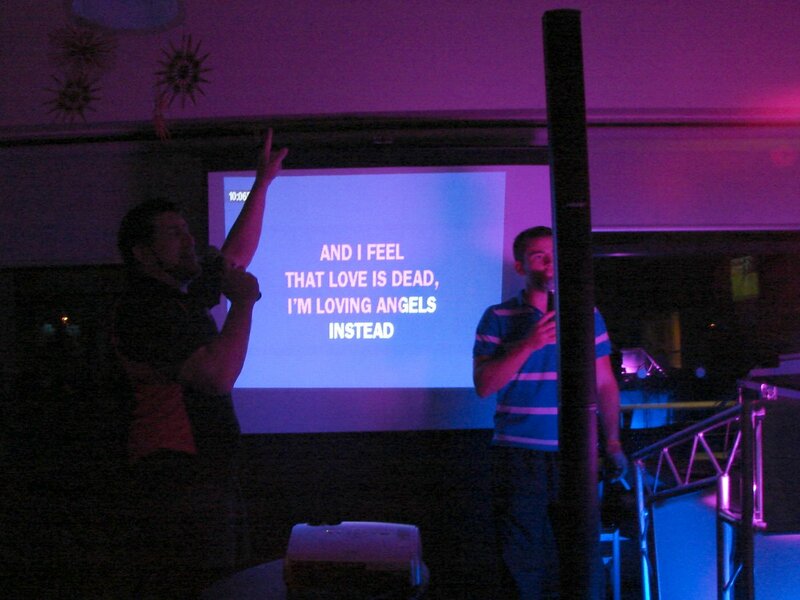 Generally, what works best is to have a few sessions of karaoke during the second half of the evening. This allows people to have time to build up the courage (or indeed sufficient level of alcohol in the bloodstream!) to sing, and also provides time for people to choose songs. 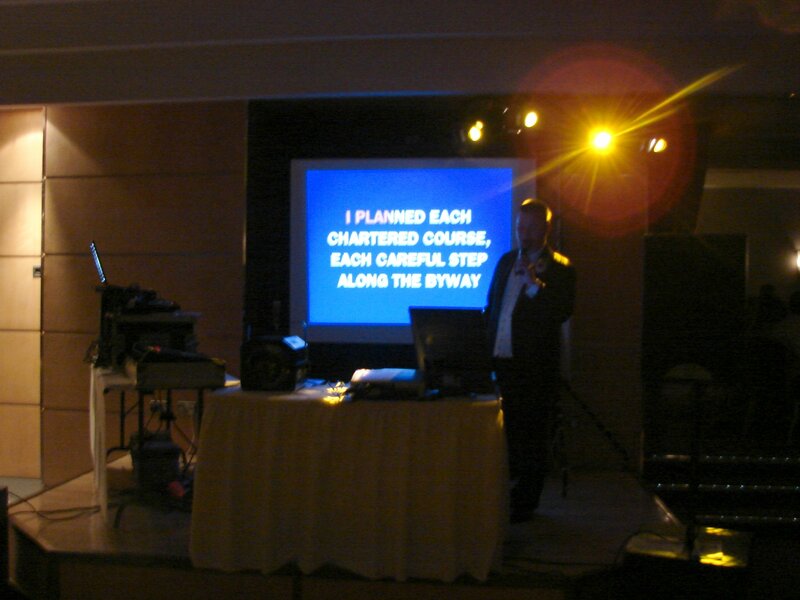 At the average event, 3 or 4 sessions of karaoke lasting about 20 minutes each generally work well. I'd normally revert to a disco again around 30 minutes before the end of the event. Alternatively, you may wish to run karaoke over a longer period of time to spread it out more, singing 3 songs, then playing 3, for example. This is intended purely as a guideline as this is the kind of thing that normally needs to be "played by ear" on the night (sometimes quite literally if the singers are of a "less than desirable" quality!). 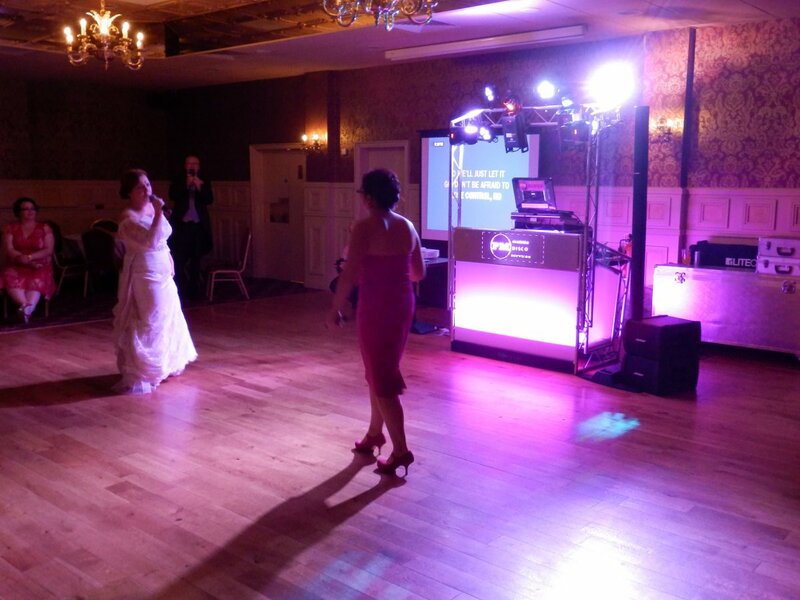 As mentioned above, how much or how little karaoke you'd like and how you would like it organised at your event is totally up to you.